they use vpn server and with banip they joins again .. I wish we could contact the MRSA Admins at some time, but they vanished from this universe. We need a server with custom maps ,skins ,sounds ,voices. Ect. A tdm server like older the Mission Impossible one remember that? 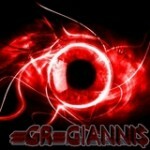 Now at 3:00 Greece +2 gmt (player) with name Grey hacks aimbot,ect. Yesterday when I was play with him I feel strange. something wrong I feel. today again join and 8 peoples tell the same time Grey hacks aimbot so he hacks . do something with it . .hackers never blocked .